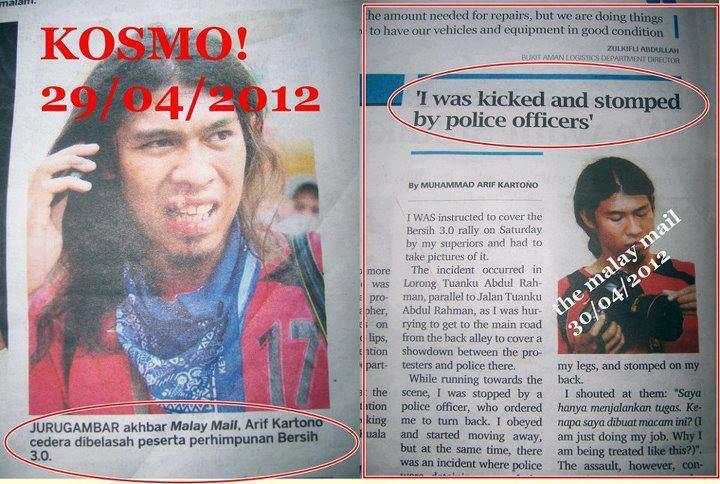 Astro accidentally revealed government manipulation? “We are surprised and somewhat disappointed that our long-standing partner, the BBC, when, issuing its statement, did not take cognizance of the duty of Astro to comply with local content regulations.” – Astro Malaysia‘s Senior Vice President of Broadcast Operations, Rohaizad Mohamed. That is the statement that Astro has given in response to the outrage on their broadcast censoring of the brief Bersih 3.0 coverage on BBC World News. If you haven’t seen the comparisons of both broadcasts, please do so by watching video embedded below. So with that being said, does that mean that covering up for the government or making UMNO – Barisan Nasional look good is one of our Malaysian national content regulations? Not just broadcast contents, but any mainstream media at all, have to follow the guidelines? It is obvious but I don’t believe we ever came this close of having a media agency to admit that there is government manipulation of the media. 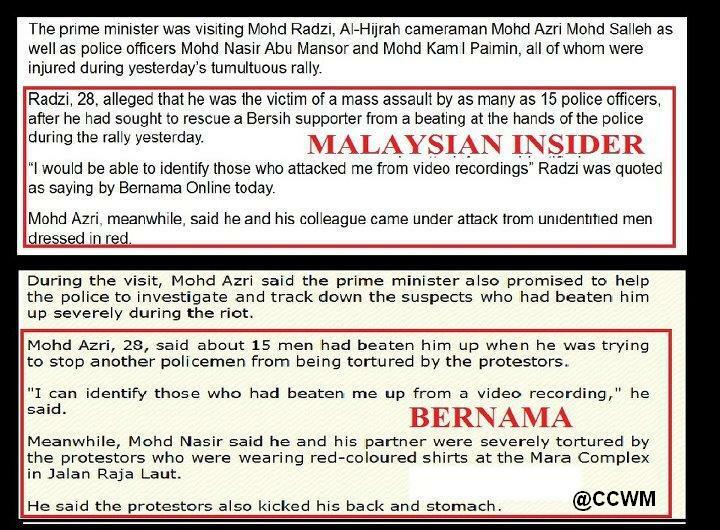 Besides Astro, most other local TV news broadcasts and newspapers had shown only images of the Bersih 3.0 rally participants seemingly misbehaving, shown only images of injured non-protesters and not the ones that got brutalised by the police, failed to mention the positive sides of the event and its cause, or/and fabricated certain truths in favour of the government and the PDRM. Free and fair media access is the fifth of the Bersih 2.0‘s eight original demands but evidently enough, some people just don’t want the nation to support genuine free and fair elections. 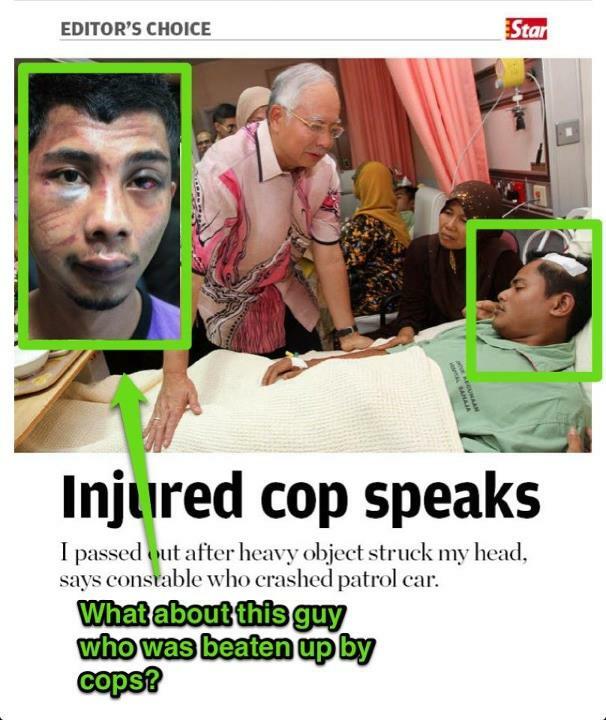 When you know the rally was forbidden, and you go there anyway, then you get unwanted injuries etc, YOU STILL WANT TO BLAME PEOPLE?? So if you break God's rules then you pay for it, YOU WANT TO BLAME GOD???? Come on. Don't be stupid. Humans should all be bound by certain regulations we can't have all the freedom. If you get all the freedom you want, then you have enough rope to hang yourself. @Anonymous You have the typical mentality of a brainwashed idiot. Somehow they managed to make you think it's right to steal the rights of the people, attack citizens and cover up with lies. BN ain't God, you fool.